Labor day is quickly approaching and that means fall is right around the corner. Fall is more than just the changing of the leaves; it also means that students are heading back to school, vacations are put on hold, and colder weather is near. Pet service professionals need to take these things into consideration during the next few months to make sure that they are making the most out of this time of year. Summer is ending and that means a shift in schedules. Students, parents, and teachers are all getting up earlier and rushing out the door for the eight o’clock bell. With the school morning scramble in full swing, dog walkers can find an opportunity. Consider running a back to school special on morning walks so that families have more time during their morning routine. Travel hits a peak during the summer and doesn’t start to rebound until the holiday season picks up which leaves the early fall months as a dead zone for pet boarders. With fewer people taking longer vacations, consider running a special on overnight or weekend boarding packages. Remind your customers that they don’t have to be out of town to need a night off from their puppy-parenting responsibilities. Many dog owners keep their furry friends’ locks short during the warm summer months, but as the weather turns colder it’s time to let those coats grow to keep pets warm. This may signal a drop off in full grooming sessions, which is why pet groomers may want to start promoting trims and styling sessions. These shortened sessions are a good way to keep clients coming in the door. 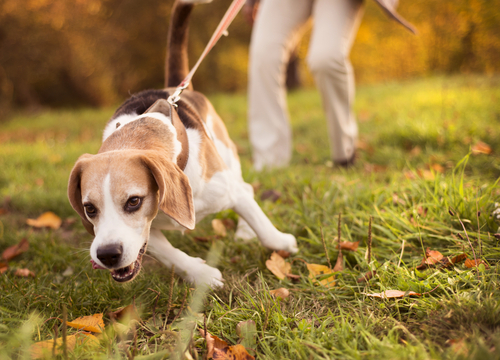 Incorporate these falls tips to help your pet services business perform in the coming months. Learn more about how SinglePlatform can help you attract new customers and get discovered everywhere that matters online. To learn more marketing tips for your local business, follow us on Instagram, Twitter, and Facebook.